Explore hidden gems such as Walking Stick Travel & Tours and Motsana Maun. 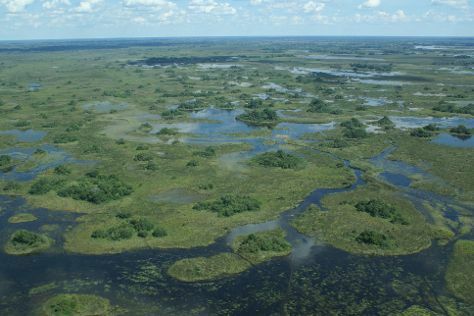 Step out of the city life by going to Moremi Wildlife Reserve and Okavango River. Spend the 18th (Sat) in the pleasant surroundings of Okavango Delta. To see more things to do, other places to visit, photos, and tourist information, read our Ngamiland East itinerary planner. Amsterdam, The Netherlands to Ngamiland East is an approximately 24-hour flight. The time zone difference moving from Central European Time to Central African Time is 1 hour. Traveling from Amsterdam in July, expect slightly colder with lows of 10°C in Ngamiland East. Finish your sightseeing early on the 21st (Tue) to allow enough time to travel to Tshabong. Start off your visit on the 22nd (Wed): explore the fascinating landscape at Kalahari Desert. To find ratings, more things to do, photos, and tourist information, go to the Tshabong online visit planner . You can do a combination of flight and car from Ngamiland East to Tshabong in 11 hours. Alternatively, you can do a combination of flight and bus; or take a bus. On the 22nd (Wed), wrap the sightseeing up by early afternoon so you can take a bus to Gaborone. Get some cultural insight at ISKCON Gaborone and Christ the King Cathedral. 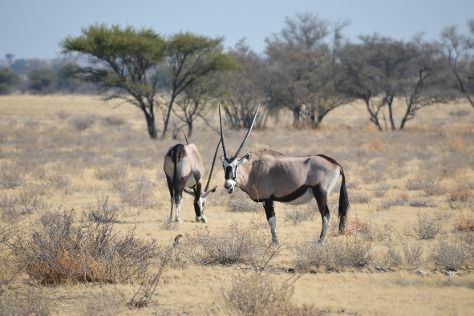 Take a break from the city and head to Khwai Concession and Central Kalahari Game Reserve. 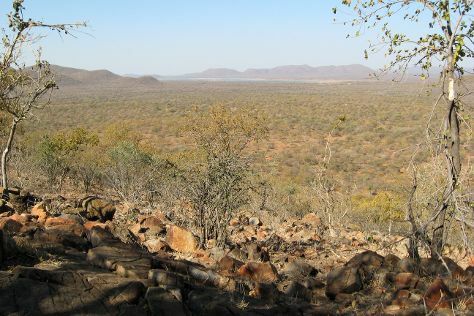 Spend the 28th (Tue) exploring the stark beauty of Khutse Game Reserve. The adventure continues: indulge in some personalized pampering at some of the best spas, stroll through Gaborone Game Reserve, pause for some photo ops at Three Chiefs' Statues, and pause for some serene contemplation at Trinity Church. For more things to do, where to stay, ratings, and more tourist information, read our Gaborone day trip website . Take a bus from Tshabong to Gaborone in 7 hours. Alternatively, you can drive; or do a combination of car and flight. In July in Gaborone, expect temperatures between 26°C during the day and 22°C at night. Wrap up your sightseeing on the 29th (Wed) early enough to drive to Serowe. Serowe is a town in Botswana's Central District. Start off your visit on the 30th (Thu): explore the stunning scenery at Moremi Gorge and then tour the pleasant surroundings at Khama Rhino Sanctuary. Here are some ideas for day two: take an in-depth tour of Khama III Memorial Museum. To find more things to do, photos, other places to visit, and other tourist information, refer to the Serowe travel route planner. Getting from Gaborone to Serowe by car takes about 3.5 hours. Other options: take a bus. Wrap up your sightseeing by early afternoon on the 31st (Fri) to allow enough time to travel to Makgadikgadi Pans National Park. 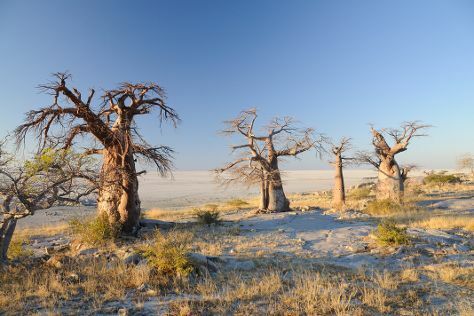 Kick off your visit on the 1st (Sat): stroll through Makgadikgadi Pans National Park. Get ready for a full day of sightseeing on the next day: head off the coast to Kubu Island. For other places to visit, maps, more things to do, and tourist information, read our Makgadikgadi Pans National Park trip website . Explore your travel options from Serowe to Makgadikgadi Pans National Park with the Route module. 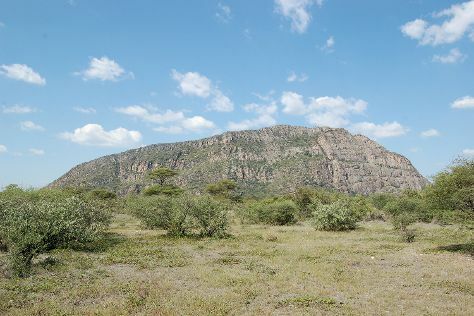 Finish your sightseeing early on the 2nd (Sun) to allow enough time to travel to Shakawe. Shakawe is a village located in the northwest corner of Botswana at the beginning of the Okavango Delta, close to Namibia and Angola. 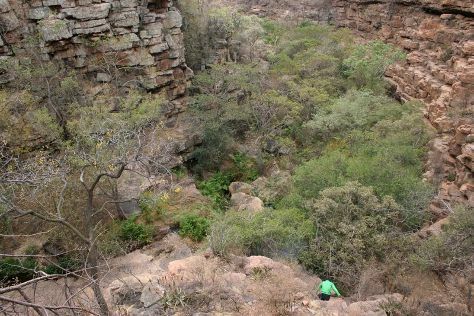 On the 3rd (Mon), explore the striking landscape at Tsodilo Hills. For more things to do, traveler tips, other places to visit, and more tourist information, read Shakawe trip planner . Explore your travel options from Makgadikgadi Pans National Park to Shakawe with the Route module. Finish your sightseeing early on the 3rd (Mon) so you can travel to Chobe National Park. You'll discover tucked-away gems like Nogatsaa and Tchinga and Serondela Reserve. Escape the urban bustle at Savute Reserve and CARACAL Biodiversity Center. To see more things to do, reviews, ratings, and tourist information, refer to the Chobe National Park travel planner . The Route module can help you plan travel from Shakawe to Chobe National Park. Cap off your sightseeing on the 6th (Thu) early enough to travel back home.